Cables are what bind an audio/video system together, allowing the signal to be passed from one component to another. Construction and quality of materials can make a significant difference in the accuracy of the signal transfer, especially with high-performance audio gear. 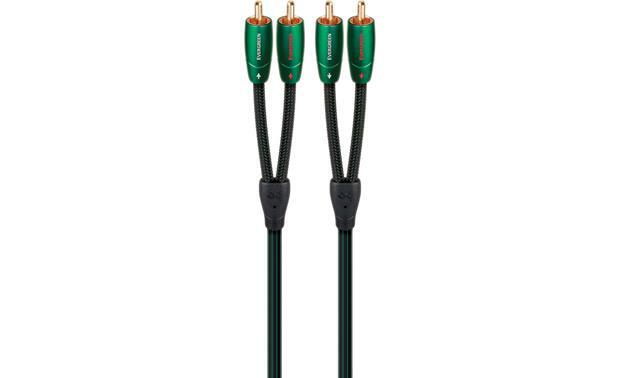 When purchasing cable — either to upgrade or to expand your system — there are a few things to keep in mind. It’s the same rule-of-thumb one would apply to automobiles. Putting $50 tires on a Maserati makes no sense, as they can hamper the performance of the car. Yet $50 tires can be just fine for a compact car, and have no appreciable impact on performance. 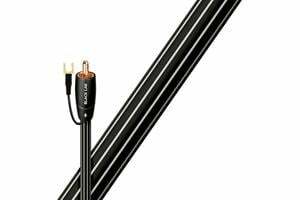 Similarly, while any system can benefit from better quality cables, the improvement top-of-the-line cables can bring is most noticeable in high-performance systems. Stereo RCA terminals (left) and connectors (right). 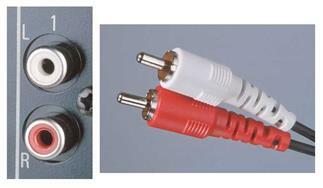 RCA connectors have been used on audio/video gear since the 1960’s. Sometimes the only way to connect an older component to a newer one is through RCA cables. RCA patch cables pass analog line-level (sometimes called preamp-level) audio signals. They feature a pair of leads for left and right stereo channel connections. Powered subwoofers also use RCA connectors. 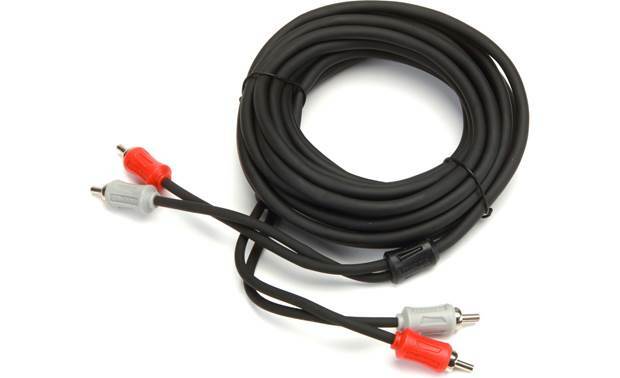 Because subwoofers send a mono signal, subwoofers cables are sold singly. 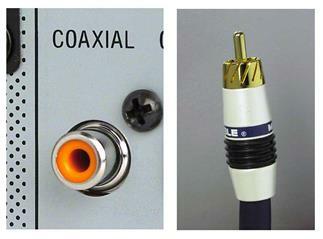 Stereo minijack terminal (left), and connector (right). The headphone connection for virtually all portable devices — tablets, smartphones, laptop computers, radios, etc. — is a stereo minijack. 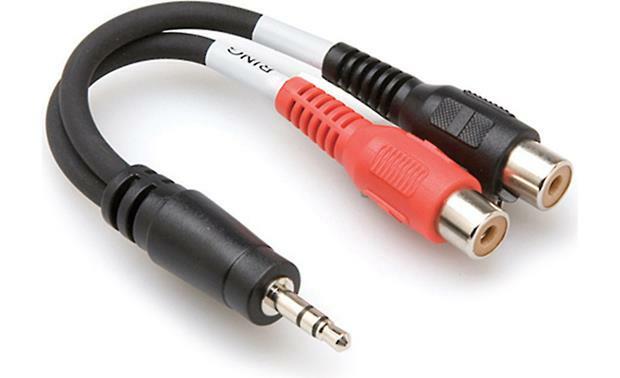 The connector passes both left and a right analog audio channels through a single cable. 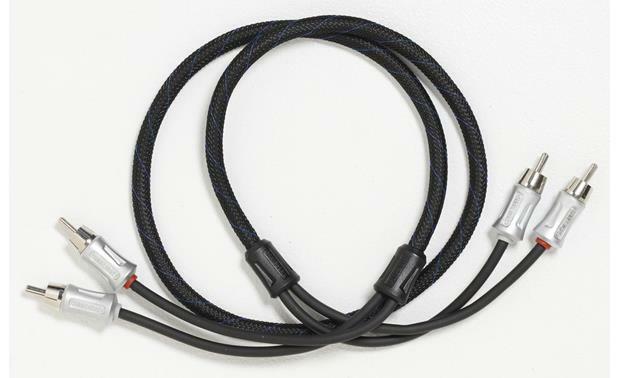 Minijack cables are handy to connect a portable device to an audio system or speaker. Want to plug your smartphone, tablet, or laptop directly into your receiver? 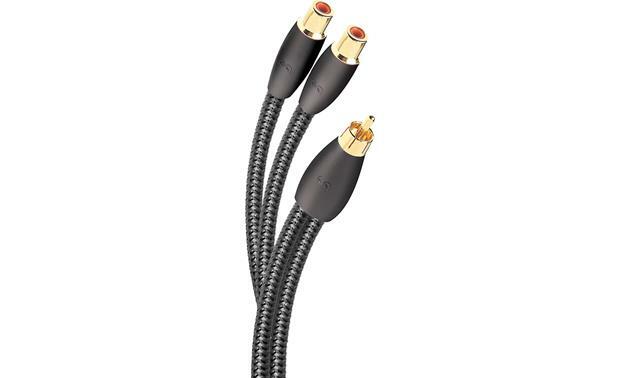 You can get a cable that has a minijack on one end and RCA connectors on the other. Optical digital terminal (left) and connector (right). Optical digital connectors (also called Toslink connectors) have various uses. 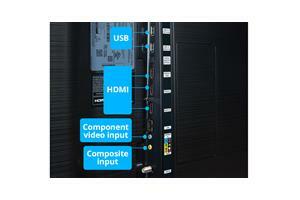 They can be used to send audio from a TV to a receiver if it can’t be done via HDMI. 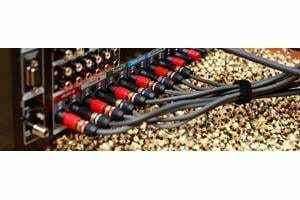 They can be used to connect a CD player or network music player to a receiver, or integrated amp. They can also be used to send digital information from a component to a high-performance DAC (digital-to-analog converter), bypassing the component’s inferior built-in DAC. 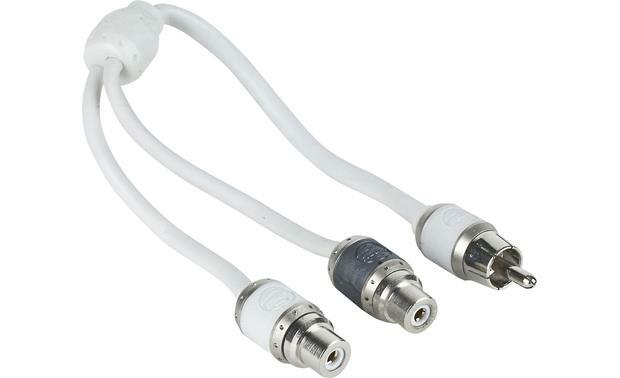 Coaxial digital cables use RCA connectors, and are similar to Toslink cables in function. Most people are familiar with the USB charging cables that come with smartphones and laptops. But USB cables are also used to connect digital music libraries — stored in computers or external hard drives — with component systems. Digital to analog converters (DACS), external hard drives, and other computer-based peripherals use USB cables, but often ones with different connectors than those found on portables. These devices generally have a square port, known as a Type B, rather than a mini USB port. When purchasing a USB cable for a DAC, external drive, or other digital audio gear, check its USB port first to ensure you get the right cable. XLR analog audio cables are used primarily with high-performance gear, such as DACs, power amplifiers, SACD players, and subwoofers. The connector has three pins — a positive conductor, a negative conductor, and a ground. The ground wire helps reduce electronic noise throughout the cable. XLR plugs lock into place, ensuring a secure connection. 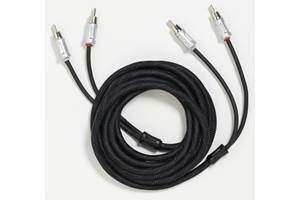 If you have a choice of analog audio connections – RCA stereo, or XLR — the XLR connections should deliver the best signal. 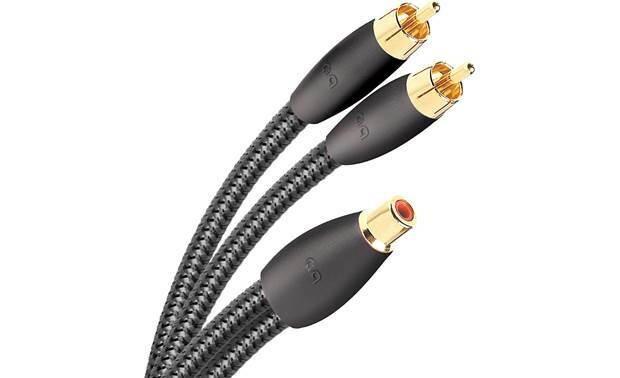 Compared to stereo minijack and RCA stereo cables, XLR cables designed for home audio are usually made of higher grade materials for better signal transfer and their wires have stronger shielding to minimize interference compare. 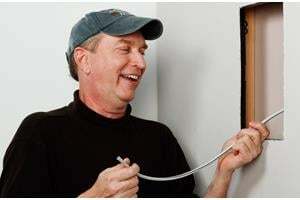 Looking for cables for your home recording studio or next live gig? 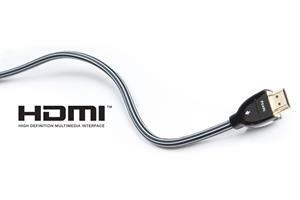 Check out our Pro Audio Cable Guide. The requirements for pro audio are different than home electronics, and cables designed for one don’t usually make a good substitute for the other. maybe i missed it but how about HDMI??? ?